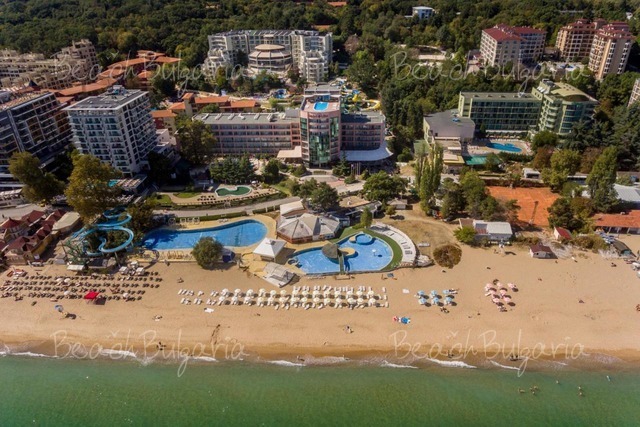 Lilia Hotel is located amidst lush greenery, just 30 m from the sandy beach in Golden Sands. 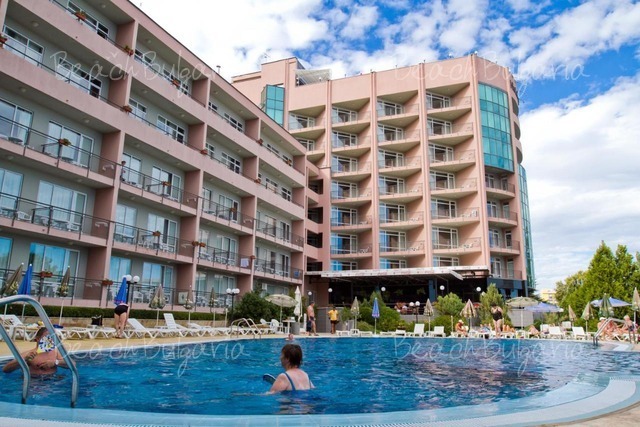 The resort centre is within a walking distance from the hotel. 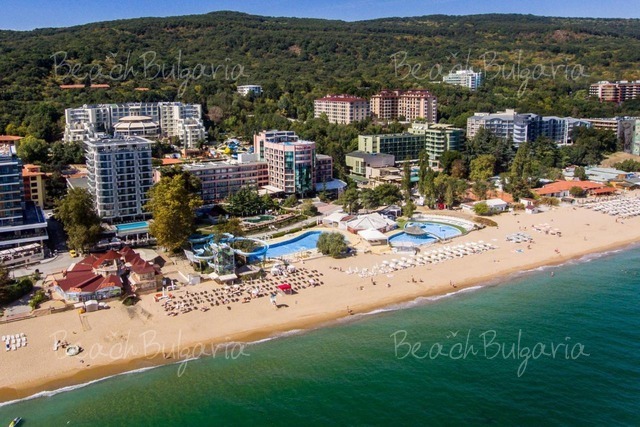 Varna is just 17 km south of the hotel. 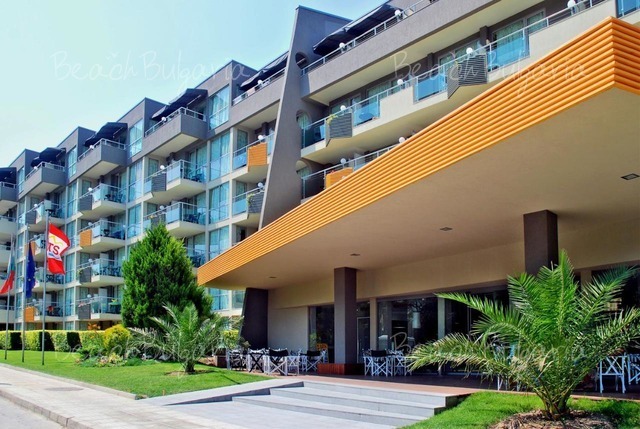 The Lilia hotel offer 174 double rooms, 47 one bedroom apartments, 8 two-bedroom apartments, as well as 1 VIP apartment. All rooms offer satellite TV, minibar, air-conditioning, telephone. The modern bathrooms are quiped with a shower and ahairdryer. Beautiful panoramic view towards the sea or the century-old forest is revield from the terrace of each room. 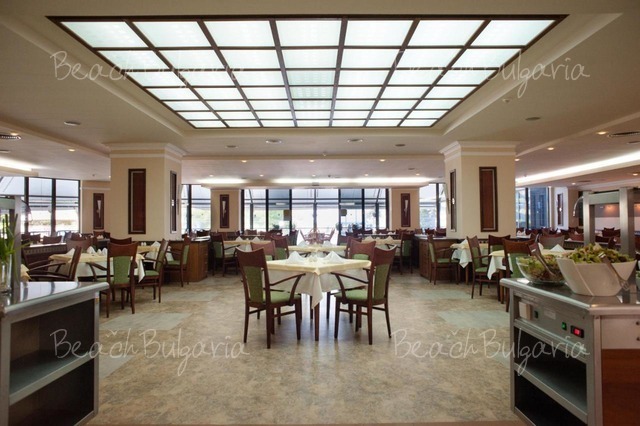 Guests can enjoy delicious cusine at the Classic restaurant, located on the ground floor in the hotel. The restaurant can welcome up to 215 guests and additional 65 guests on a spacious terrace viewing the main street in the resort. Wide variety of International dishes and drinks are served every day from 7:30 till 10:00 and from 06:00 PM till 09:00 PM, during the summer season. 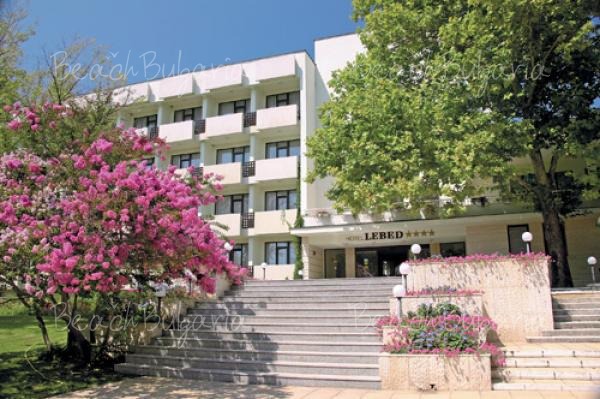 The conference centre at Lilia hotel is sutable for holding events for up to 40 – 140 guests. Movable writing-tables can be provieded when necessary. A business-office with a telephone and Internet connection is available in close proximity to the conference hall. Hotel Lilia offers a rooftop sky bar with a swimming pool. Another open air swimming pool is situated in the garden in front of the hotel. Proffecional massage services, as well as a wide variety of medical programmes are offered in the health centre of the hotel. * The rates are in Euro, per room, per night with breakfast and dinner included, use of outdoor swimming pool, parasole, sunbed near pool. * Cancellations can be made free of charge providing details of this are received at least 15 days prior to check-in time on the day of arrival and 22 days during 05 July - 31 August - cancellations made after this period will incur a fee equivalent to the cost of 4 night's accommodation. 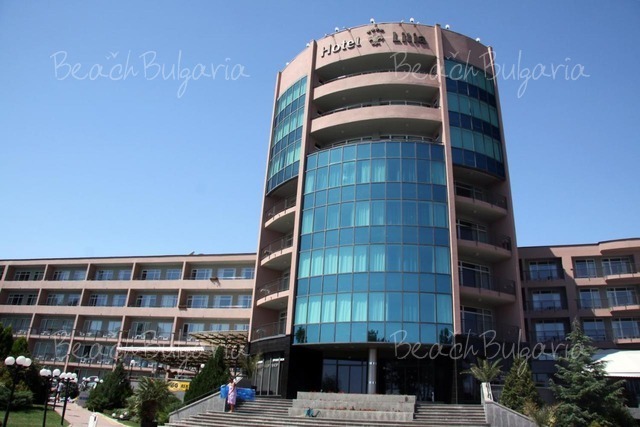 Please, post a comment on Lilia Hotel.